One of my blogging friends posed the question this week: which season of the year is your favorite? I think, for some of us, it would be impossible to answer that question. There’s obviously beauty in every season. So today, I thought I’d take you on a stroll to see the “beauty of spring” that’s blooming in our yard right now. 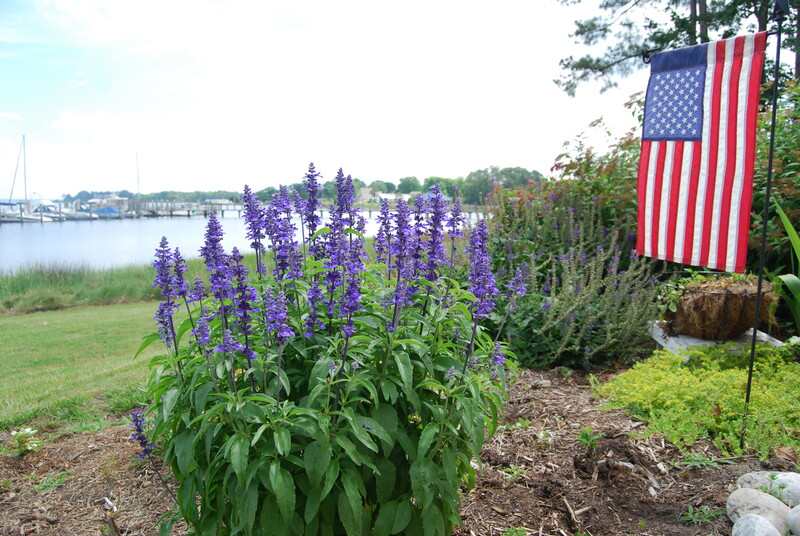 What’s not to love about this blue salvia? The color is so pretty, it’s a perennial, and the best part (for me anyway) is that the deer and rabbits don’t eat it. My friend, Bev, and I went plant shopping recently and saw this citrus-colored purslane, which is similar to portulaca (one of my favorites). 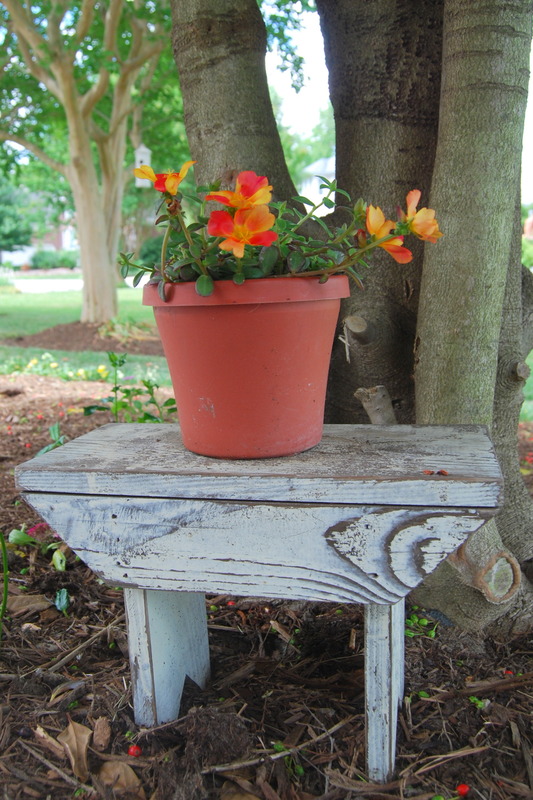 I like the look of plants on little wooden stools, like this one, in my flowerbeds. 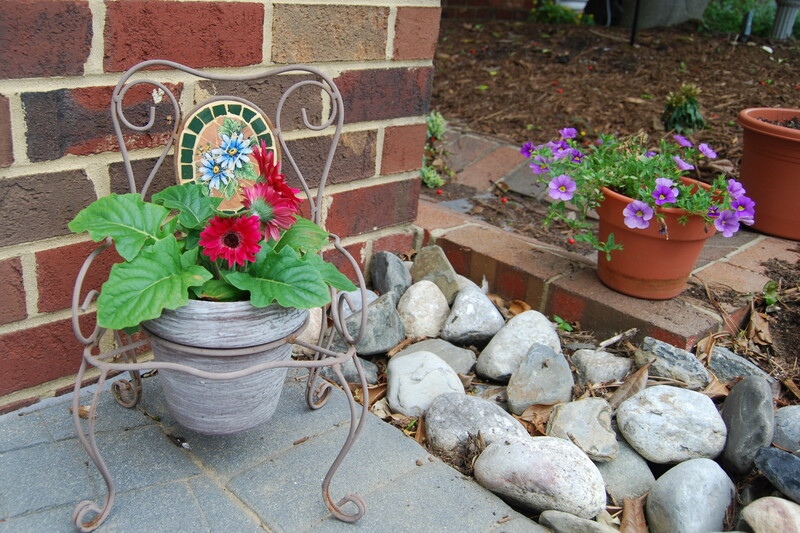 Several years ago, for my birthday, my friend, Doris, gave me a red Gerbera daisy in this little chair planter. The chair and flowerpot have gotten more rustic-looking with time. I think those purple flowers are referred to as “million bells”. Maybe this year I’ll have better luck with those than I’ve had in the past. Several years ago, I bought this plant in the middle of summer, when Motor Man and I were in Maryland for a boat race. It called out to me because it looked so pitiful. 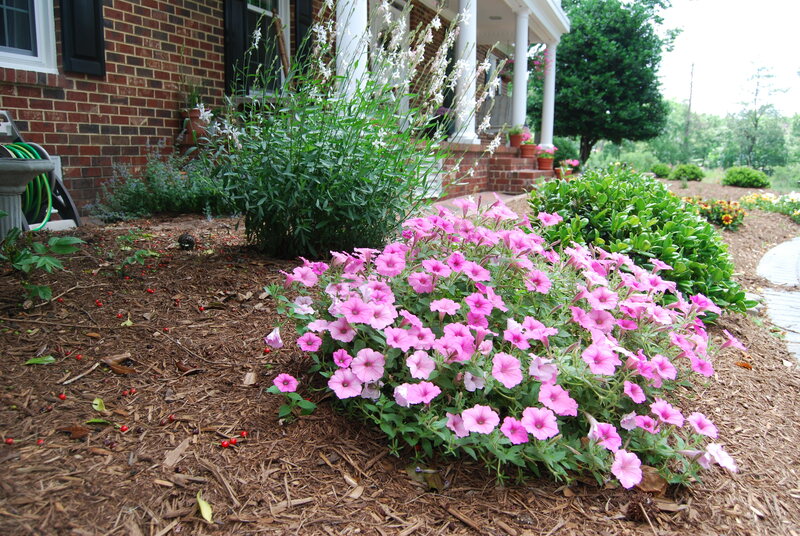 Evidently it’s a perennial petunia, which I didn’t know existed. It returns every year, and is the perfect plant: takes the hot, dry weather of summer and the animals don’t bother it. The plant behind it with the tall spiked flowers is guara, or “whirling butterflies”; another perfect plant. 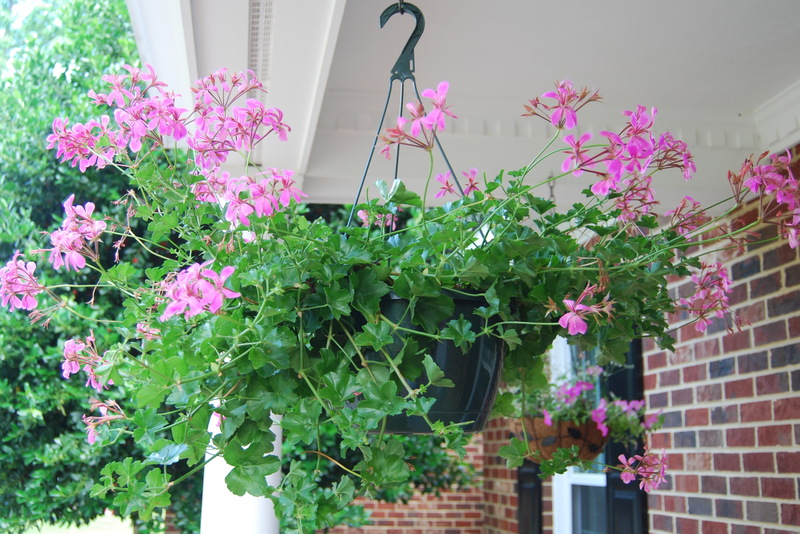 And finally, I always have hanging baskets of ivy-leafed geraniums on the front porch. If my luck holds out, all these plants should bloom through the summer. So far this spring, we’ve had just the right amount of rainfall. I’m hoping that will continue, because as much as I love having pretty plants, I don’t care for pulling garden hoses. What spring beauties are in your yard?